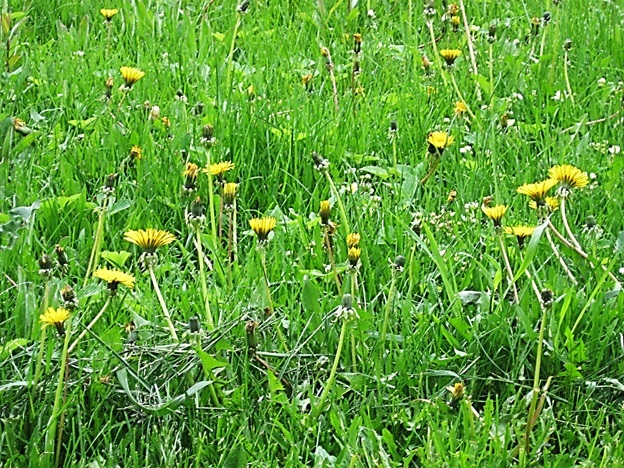 Why are dandelion fields less valued than well-manicured grass lawns and flowerbeds? The question of traditions is something I am revisiting as I edit my book manuscript and reflect on old family dynamics that keep repeating. Two helpful resources are listed below if you are interested in scholarly discourse on the topics of invented traditions and imagined communities. Benedict Anderson (1995). Imagined Communities. London, UK: Verso. Eric Hobsbawn and Terence Ranger (Eds.)(1992). The Invention of Tradition. Cambridge, UK: Cambridge University Press. A thought-provoking post, Carol…we timelessly, tirelessly follow these traditions without reflection. Oh, I like the idea of a dandelion lawn…or Daisy one! 😀 Good luck with the edit of your book. Agree, totally. Traditional attitudes are stubborn. I wrote something in that vein a view yrs ago. I totally agree with you, Carol. We have beliefs set in stone that no longer serve our ever evolving civilization. We learn from the moment we are inside our mother’s wombs and until we go under the soil, this is a local proverb in Pakistan’s Rajanpur desert… I agree traditions are held strongly despite their outdatedness and negative consequences, south asia is full of many such! Sighs. As always, wonderful post that makes us self reflect our own personal positions on existing traditions. Thank you so much for your thoughtful comments, Saadia, and for sharing such important insights about how outdated “traditions” can have negative consequences. As you well know, traditions may be fine, but sadly they are often reinterpreted by those who impose new meanings based on their own narrow views and agendas for power. Great post and question as usual…anything coming from humans was invented/created at some point, even that we believe coming from the divine or any other authority figure. I have always thought that as Joanna Macy and Starhawk say, our current cultures and behaviours, values and beliefs are all shaped by the stories we tell about our origins, nature and relationship to the world and each other. It’s so good to hear from you, Silvia! I look forward to hearing what you are thinking about and doing these days, dear friend. I like your comments about the power of stories to shape how we see the world. It reminds me of a quote I was trying to find earlier today (unsuccessfully) – about the staying power of myths. Myths (stories) remain more powerful as a foundation of beliefs and behaviors than scientific truths that call them into question (a paraphrase of something Mark Robert Rank, 2005, wrote in “One Nation Underprivileged: Why American Poverty Affects Us All”). How can we evolve if we don’t allow our belief systems to evolve? Belief systems seem to prevent most of us from attaining wisdom. Too many people look at knowledge as something to collect instead of something to learn from. I’m viewed as a freak by many people because I question everything. I’m called weird, ridiculous, unreasonable, idealistic, unrealistic, a troublemaker. One neighbor told me a few years ago that I’m a nice guy and seem to know a lot, but speaking with me depressed her. It’s sad that uncertainty scares and depressses people.